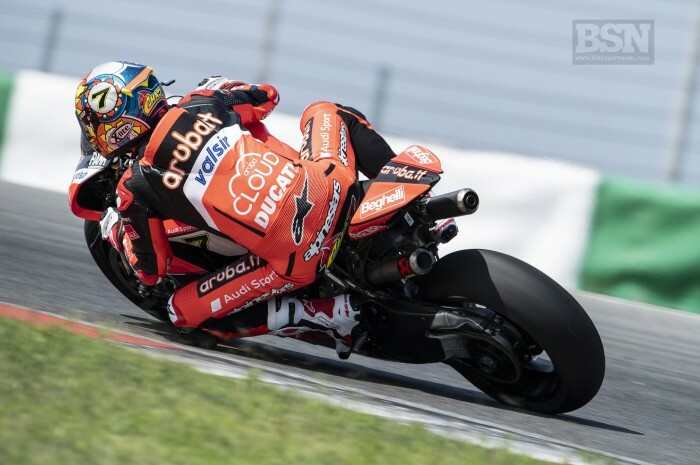 Crocked Ducati WorldSBK star Chaz Davies will take this weekend’s Portimao round a day at a time as he continues to recover from a re-broken collarbone. The Welshman crashed during Supermoto training at Aragon and aggravated the collarbone he had previously broken in a mountain bike spill. Davies didn’t undergo surgery but, like Tom Sykes, will have to take it steady on the opening day. “The collarbone injury was just not ideal, but I felt progress during these days, which is the most important thing. We’re going to see how Friday goes and then take it step by step, without rushing things too much early on,” said Davies.